1SaleADay has quickly become one of my favorite websites for frugal deals! 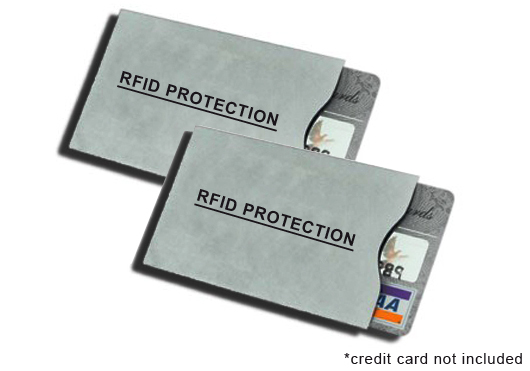 For the next 24 hours you can get a 2-Pack: RFID Protection Credit Card Sleeve ABSOLUTELY FREE! These would make perfect stocking stuffers for the men in your life! Their original cost is $19.99 so that's a savings of 100%! Their $1 + FREE SHIPPING and FREEBIE deals are always my favorites! For the past few months I've ordered numerous gifts that are perfect for birthdays and Christmas! Head on over to 1SaleADay and see what kind of great deals you can get today!